HEBRON, NEBRASKA – (24 miles north of Belleville, KS. Where Highway 81 North crosses Highway 136) –Hebron is the Thayer county seat and holds claims to the World’s Largest Porch Swing located in downtown Roosevelt Park. The Thayer County Courthouse was built in 1902-1903 but lost much of its original beauty when the 1953 tornado destroyed the tower, much of the roof and upper wall. Interesting carvings adorn the outer corners are rumored to be the work of Gutzon Borglum, sculptor of the Mt. Rushmore presidents. The Hebron Post Office Mural was painted by Miss Eldora Lorenzini in 1939 as part of the New Deal’s Public Works of Art Project and WPA Federal Art Project which employed thousands of artists during the Great Depression. The mural is one of 12 in post offices across Nebraska. TO THE NEBRASKA PRAIRIE ROSE BED & BREAKFAST you will continue north on Highway 81. But for your information, Highway 136 west from Hebron for 53 miles is Red Cloud, Nebraska, the home of the author, Willa Cather. Cather changed the course of American literature…and she did it with stories inspired by her experiences and years as she settled into her new life in Nebraska; she was moved by the wild prairie and the settlers struggling to tame it. Her tales of pioneer life reflect a deep love for the region. For more information, go to www.redcloudnebraska.com and for tours by the Willa Cather Pioneer Memorial and Educational Foundation go to www.willacather.org. From Red Cloud you could take Highway 136 west for 23 miles (to Franklin) and then take Highway 10 north for 24 miles to Minden, Nebraska, location of the Harold Warp Pioneer Village, home of more than 50,000 historic items, including 350 antique autos, 100 tractors, 20 airplanes, historic crafts and 7 generations of kitchens showing man’s progress since 1830 displayed in 26 buildings; walk less than a mile and see it all! Go to www.pioneervillage.org. OREGON TRAIL: Long before Thayer County existed, the area was crossed by the Oregon Trail and the Pony Express. Between 1843-1869, thousands of immigrants went west on the trail. Some went all the way to Oregon’s Willamette Valley in search of farmland –many more split off for California in search of gold. From Independence, Missouri to the Columbia River in Oregon, it took four to six months in covered wagons drawn by oxen, mules or horses. There were many sharp inclines and dangerous water crossings. Occasionally Indians ran off the livestock or attacked the immigrants so several fierce raids and battles took place near here. Nebraska joined the Union in 1867. The Oregon Trail crisscrosses Thayer County from Alexandria to Hebron, to Friedensau, to Kiowa, to enter Nuckolls County on the west, east of Oak, Nebraska. Friedensau is an early German settlement on the Little Blue River between Deshler and Hebron. The town was moved to Deshler when the railroad came there. Trinity Lutheran Church, which was organized around 1897 still has services each Sunday. Two miles east of Deshler on Highway 136 is the marker for Friedensau. The Church is located three miles north of the marker. Go to www.thayercounty.org. When traveling from Kansas to Nebraska on U. S. Highway 81, the largest marker on the Oregon Trail is located north of Hebron. 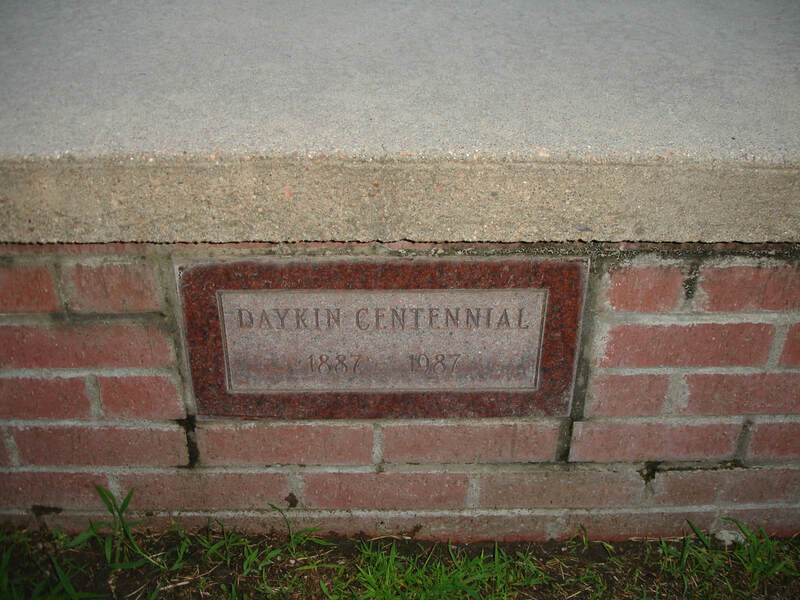 The monument is made out of Red Granite and was dedicated on May 24, 1915. Watch for the sign two or three miles north of Hebron on the east side of Highway 81. PONY EXPRESS TRAIL follows much the same area as the Oregon Trail. The route was used to carry mail by horseback from St. Joe, Missouri to California and back. The Pony Express Association has a re-ride of the route annually in June. Go to www.thayercounty.org. 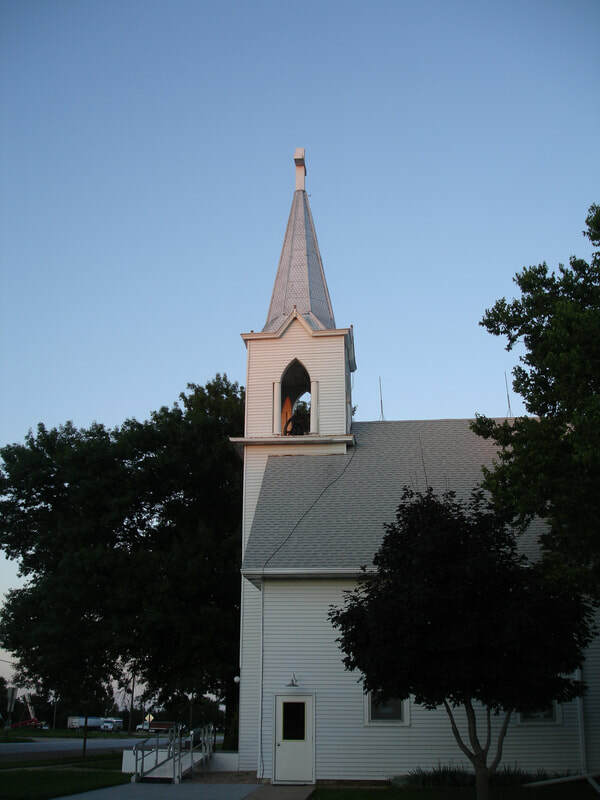 BELVIDERE, which means “Beautiful to See” is located one mile east of Highway 81. 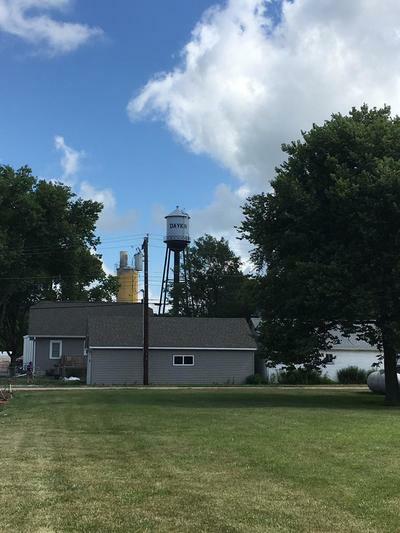 Rich in Railroad history and incorporated in 1887, Belvidere was once the rail center of Thayer County but is now home to the Thayer County Museum, a three-building complex with artifacts from pioneer times and a barn exhibit. It is open Sundays and Wednesdays, 2-4 p.m. or by appointment. Free. CALIFORNIA TRAIL MARKER is located at the Museum site. One of the earliest trails in Thayer County, it ran north of the Big Sand Creek, crossed southwesterly near Belvidere to join what was to become the Oregon Trail northwest of Hebron. 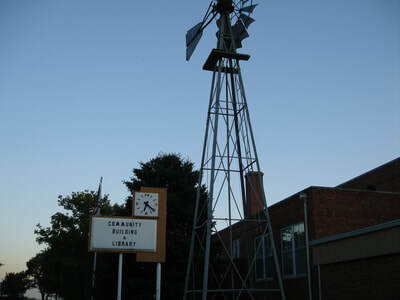 District 10 School is located just east of Thayer-Jefferson County line, southeast of Alexandria; (originally called Meridian School) site of Pony Express and Oregon Trail markers. Ruts of the Oregon Trail may still be seen one-half mile west of the school. 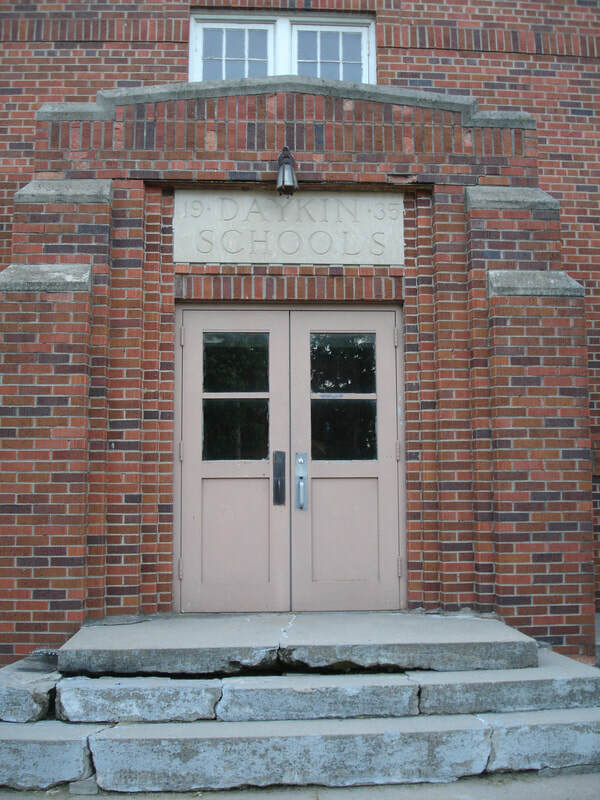 The School may be reached by traveling northeast on gravel road from Highway 53, two and one-half miles south of Alexandria on the road just north of the Blue River bridge on Highway 53. BRUNING: The Old Tavern Antique Co. on Main Street includes the old town tavern (the front room) and the Old Drug Store (the back room.). One of the greatest compliments came from a national antiques dealer who has traveled many times across America: “When he walked in our doors, he looked around and said, ‘My goodness this is amazing; this store should be in New York City!’” The rich history from the majestic 100-year old Brunswick bar and humidor to the stained wooden floors in the back room where oiled harnesses hung to dry in 1929 and in later years, druggists and soda jerks dispensed cures for all forms of ailment. The store’s thousands of antiques seem not the least out of place. The ‘retro area’ with 50’s era collectibles has the fine collections of oil lamps, furniture, linens, books and of course the ice cold Coca Cola and root beer served in collectible bottles. 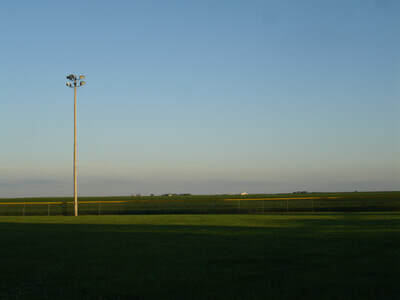 FORMER BRUNING AIR BASE which served as a training station for pilots during World War II. The buildings and location have been converted to a large cattle feeding operation. It is located on Highway 4 near the eastern edge of Thayer County. 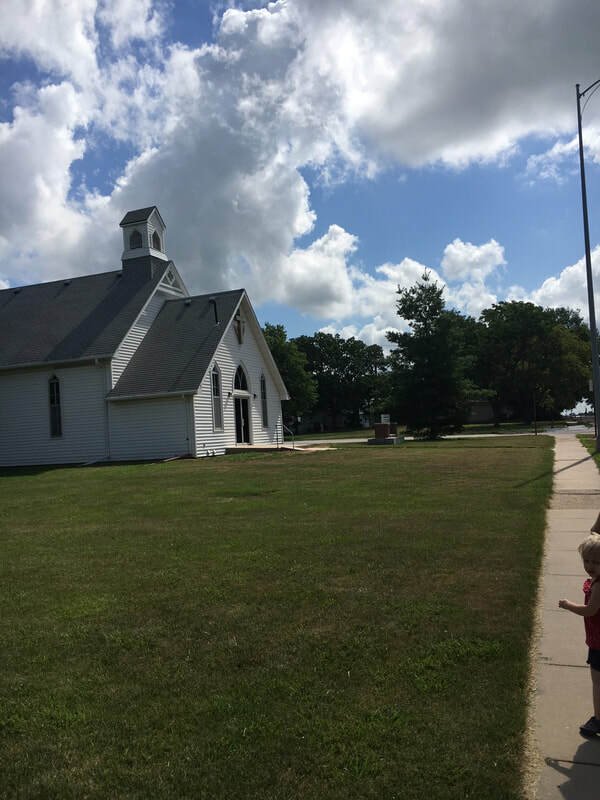 A portion of the Thayer County Museum in Belvidere is dedicated to those who died in the US Army Air Force crashes in the area, four crashes in the Bruning area and three crashes near Daykin. Go to: www.NebraskaAirCrash.com. ALEXANDRIA STATE LAKES: Located three miles east and one south of the northeast corner of Alexandria on the Big Sand Creek and near the Little Bue River. These lakes offer excellent fishing and camping accommodations. The Snak Shak provides visitors with great food and provisions. 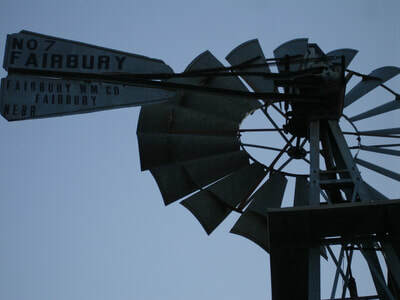 FAIRBURY, NEBRASKA (From Daykin take Highway 4 east for 6 miles to Highway 15 and south for 12 miles): The Fairbury City Museum at 1128 Elm St. features exhibits that focus on pioneer life and the Campbell Bros. Circus, which wintered at Fairbury in the late 19th century. The Fairbury Rock Island Depot Railroad Museum, located at 910 Bacon Road, features the heritage of the rail industry in Jefferson County. It is also home to the Burlington Depot from the ghost town of Kesterson and Rock Island Motor Car 9047, one of a handful of rail motor cars still in existence in the nation. Children enjoy the miniature train rides. Also see the extensive model railroad display. Five miles east and one mile south of Fairbury is Rock Creek Station State Historical Park, a former Pony Express Station and toll bridge on the Oregon Trail, the location where the legend of Old West gunfighter James B. “Wild Bill” Hickok begain in 1861. Hickok shot and killed station owner David McCanles, and shot two of his hired men. Exactly what happened, and why, is still a subject of debate. The original east ranch buildings have been restored and Oregon Trail ruts are still visible within the park. 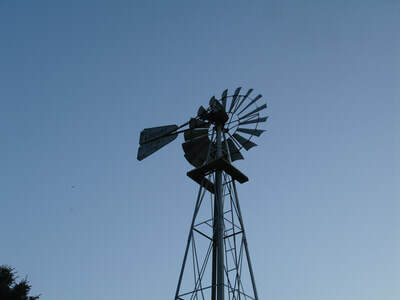 A visitor’s center showcases artifacts from the east ranch as well as pioneer times. The recreation area has miles of hiking trails and horse trails. ENDICOTT, NEBRASKA –(6 miles southeast of Fairbury on Highway 8) Endicott Clay Products Co. is located across the Little Blue River south of Endicott and two miles west. The company began manufacturing clay products in 1920. To meet the ever-increasing demand for these unique products, Endicott went on to build completely automated plants, now producing 75 million brick per year. Endicott Clay Products supplied the brick on the newly renovated Lambeau Field, home of the Green Bay Packers. Some of the large buildings constructed with Endicott brick include Linden Place in Omaha, Chase Manhattan Bank in Brooklyn, New York, Galyan’s in Minneapolis, Minnesota, All Saints Church in Lakeville, Minnesota, the ConAgra Corporate Headquarters (seven buildings on the River Front) in Omaha and numerous other buildings and private residences. 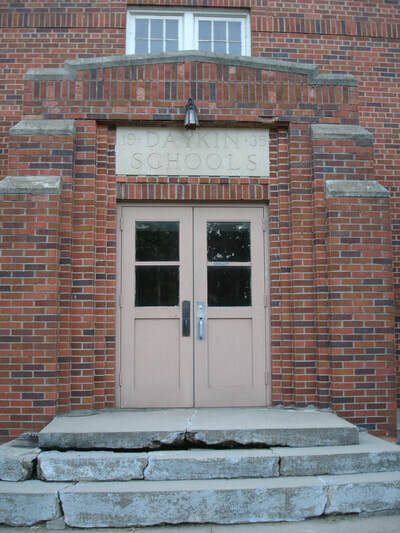 Other products range from handcrafted brick murals (over 1,000 of these murals have been sculpted and installed across America and abroad), brick pavers, glazed ware, pre-cast units, tile facades, face brick, pool coping and decorative accents on windows, fireplaces, mantles and hearths. Some of the murals are located in Cypress Gardens Zoo in Winterhaven, Florida, Cleveland Zoo in Cleveland, Ohio, and the National Prisoner of War Memorial in Andersonville, Georgia. They ship brick and tile products around the world. Go to www.endicott.com. Visit The Homestead National Monument of America and gain understanding of how the Homestead Act of 1862 was significant in the westward expansion of the United States. 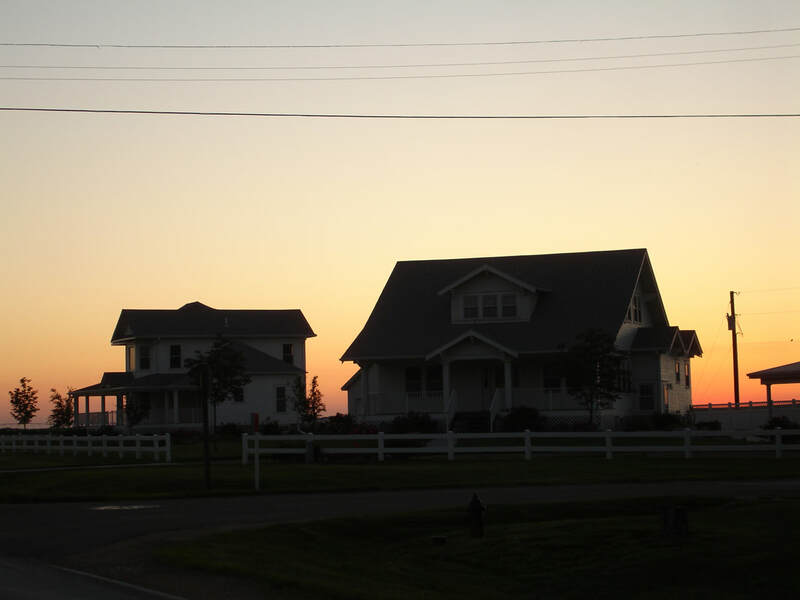 By granting 160 acres of free land to claimants, it allowed nearly any man or woman a chance to live the American dream. 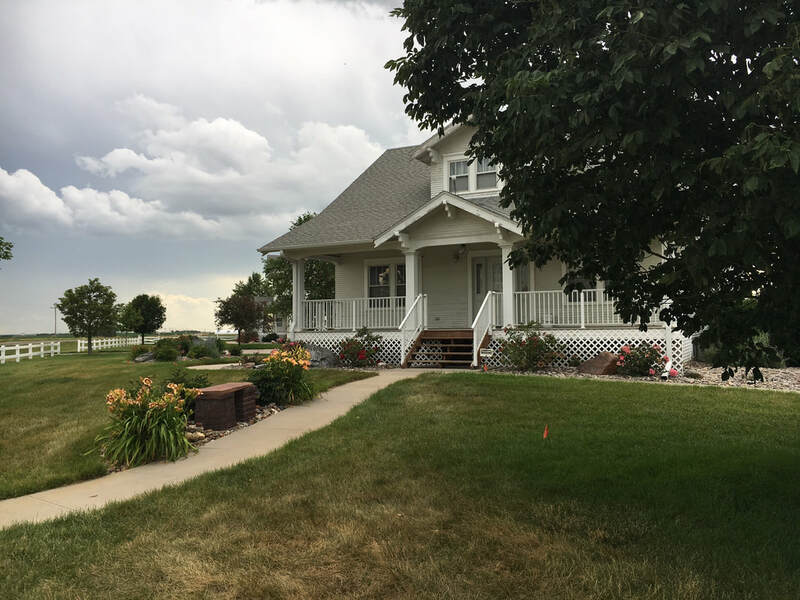 The Homestead Heritage Center is a brand new award-winning facility, dedicated to telling the story of the Homestead Act of 1862. Enjoy historical exhibits, films, picnicking, school programs, special events and observing of tall grass, wildflowers and wildlife on the restored prairie. Gage County Historical Society and Museum – Original 1906 Burlington Passenger Train Station, a Neo-Classical Revival style, was constructed of Oman pressed brick with Bedford stone trice and is listed on the National Register of Historic Places. It was built for the Chicago, Burlington and Quincy Railroad which brought immigrants from all over the world for the lure of free land, and is the only surviving depot in town, located at 101 N. 2nd St., Beatrice. The Museum owns the Elijah Filley Stone Barn located 2 miles south of Filley, 11 miles east of Beatrice. 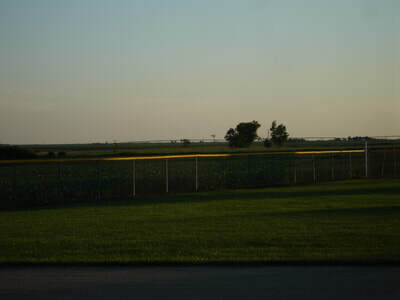 SEWARD, NEBRASKA- CONCORDIA UNIVERSITY (Lutheran) – 52 miles from Daykin – Take Highway 4 east 6 miles to Highway 15 north 46 miles. The Bartels Museum is home to more than 75 displays of minerals, agate, fossils and rocks. The Marxhausen Gallery of Art houses the Koenig Collection, a permanent collection of more than 300 works of art by some of the most influential artists in the last 100 years. Both are at Concordia University. 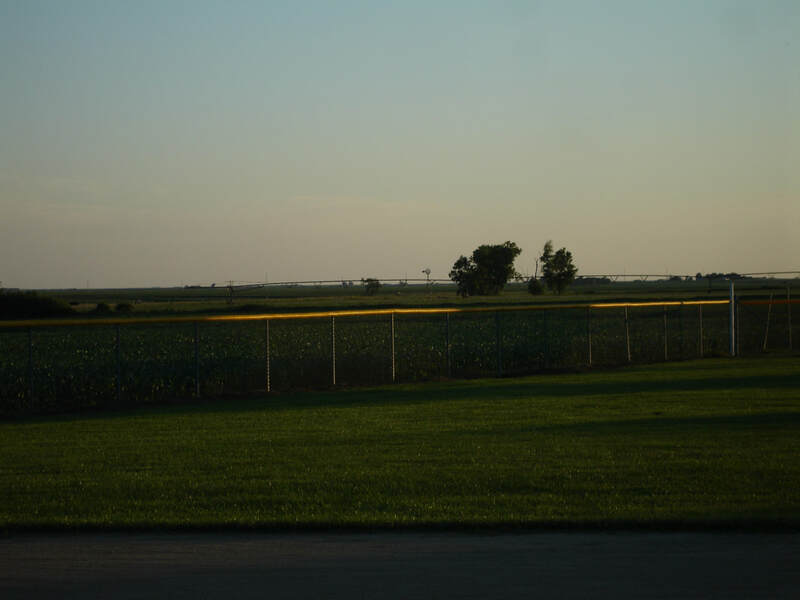 LINCOLN, NEBRASKA – 65 miles – Take Highway 15 to I-80. American Historical Society of Germans from Russia 631 D St. –Museum and research library dedicated to preserving the culture and history of Germans From Russia. International Quilt Study Center and Museum at the University of Nebraska-Lincoln, 33rd and Holdrege. See Exhibitions of more than 2,500 quilts from around the world, including the recent addition of 275 quilts with an estimated value of more that $1.2 million from the estate of collectors Dr. Byron and Sara Rhodes Dillow who lived in Fremont. University of Nebraska State Museum of Natural History and Mueller Planetarium – South of 14th & Vine in Morrill Hall – Features the world’s premier collection of fossil mammoths and mastodons. 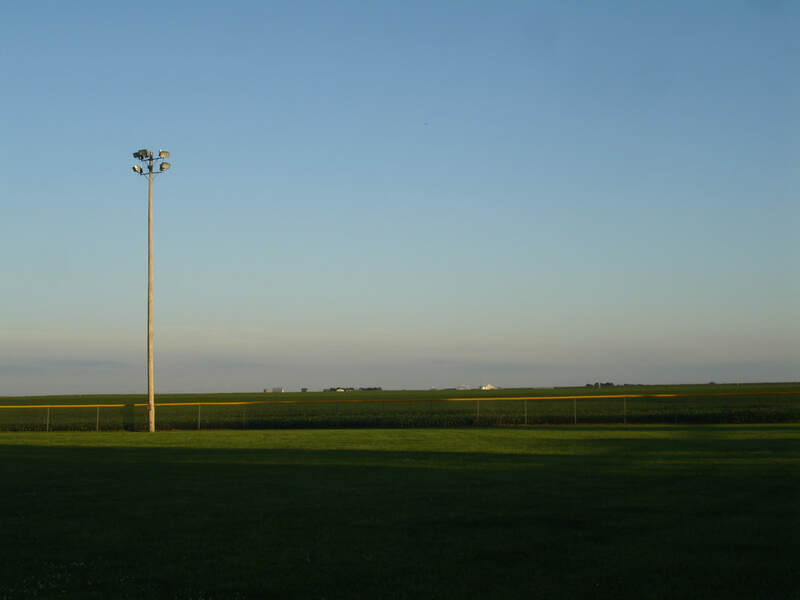 OMAHA, NEBRASKA – 121 miles – Take Highway 15 to I-80 past Lincoln. Near Omaha: 28210 W. Park Highway I-80 Exit 426 (Ashland) Stunning entrance. Includes 300,000 square feet of artifacts, nearly 40 military aircraft, restoration center, library, theater and traveling exhibition area.